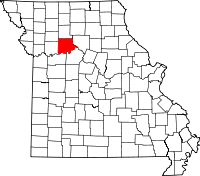 There are several resources in Jefferson City, MO, that maintain records for Carroll County as well as make them available for research purposes. State organizations assume much of the responsibility for collecting records into a central repository in Missouri, as well as building local branches for easier access. One such branch is the Carroll County Health Department, which is connected to the Missouri Department of Health and Senior Services. Both organizations handle and distribute birth and death records to those qualified, and the main department also handles marriage records. The County Health Department is located on 5 North Ely in Carrollton, MS. Also in Carrollton is the Circuit Clerk, who also acts as the Recorder of Deeds for the county, and as such, is responsible for maintaining property, marriage, and divorce records. The Clerk's office is in the Carroll County Courthouse at 8 S Main Street in Suite #3.